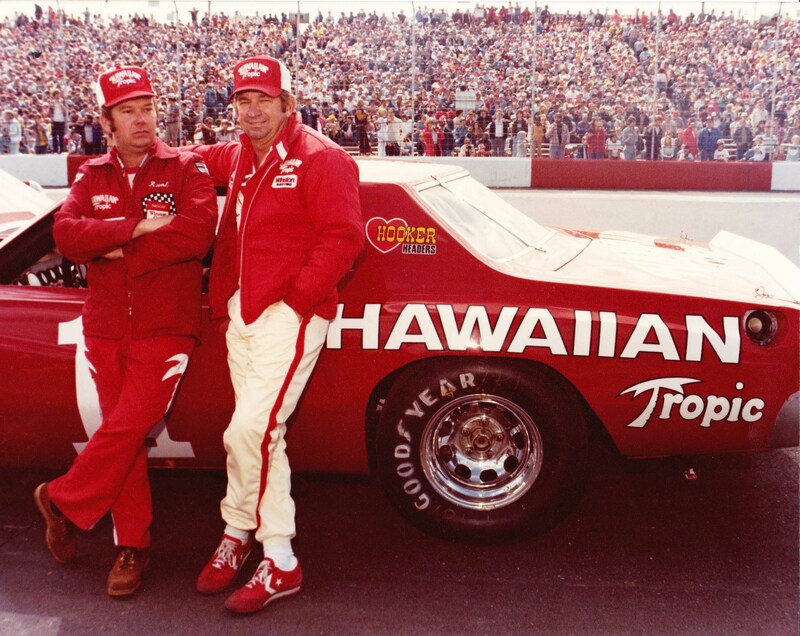 The Hawaiian Tropic paint scheme that Donnie sported on Hoss Ellington's No. 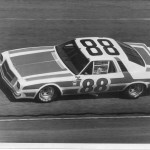 1 car in 1977, 1978, 1979 and early 1980 was one of the most distinctive and well known of its day. 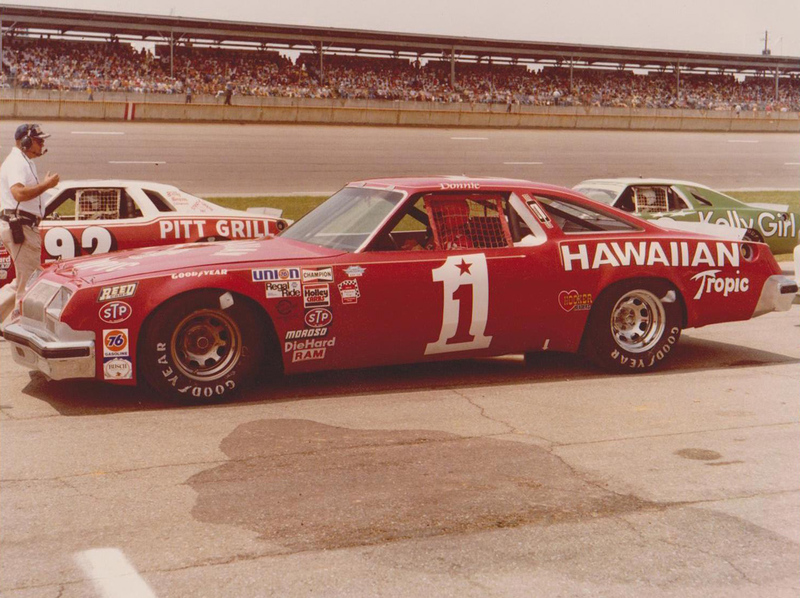 We're not quite sure which race this photo is from, but whichever one it was, you can be sure Donnie was ready to go when the green flag fell. 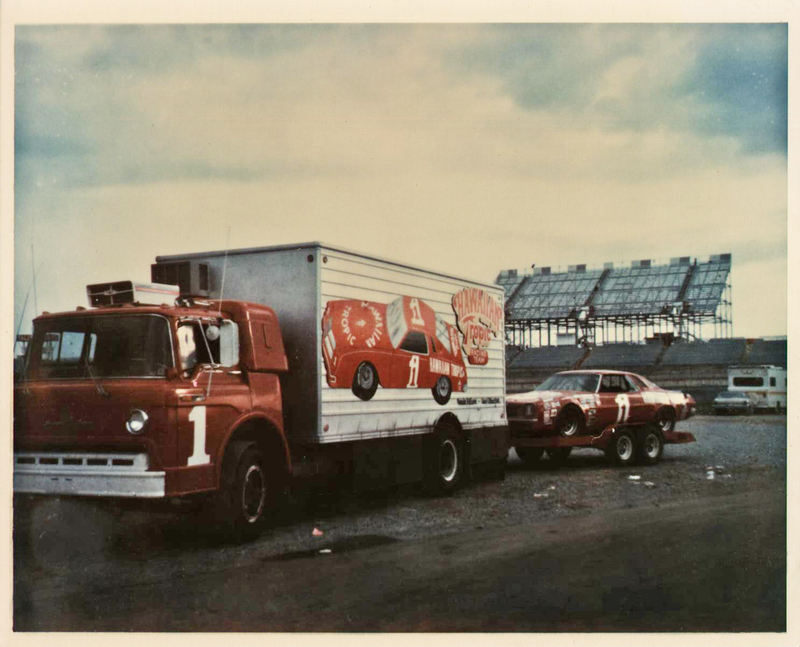 For its time, this Hawaiian Tropic team hauler was considered state of the art. 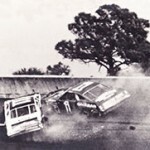 Five times throughout their NASCAR careers Donnie and Bobby finished 1-2 in a race and four of the five times it was Donnie in front at the checkers. 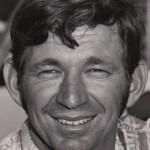 Those four times included the 1968 Carolina 500 at Rockingham, the 1969 National 500 at Charlotte, the 1970 Southeastern 500 at Bristol and the 1971 Winston 500 at Talladega. 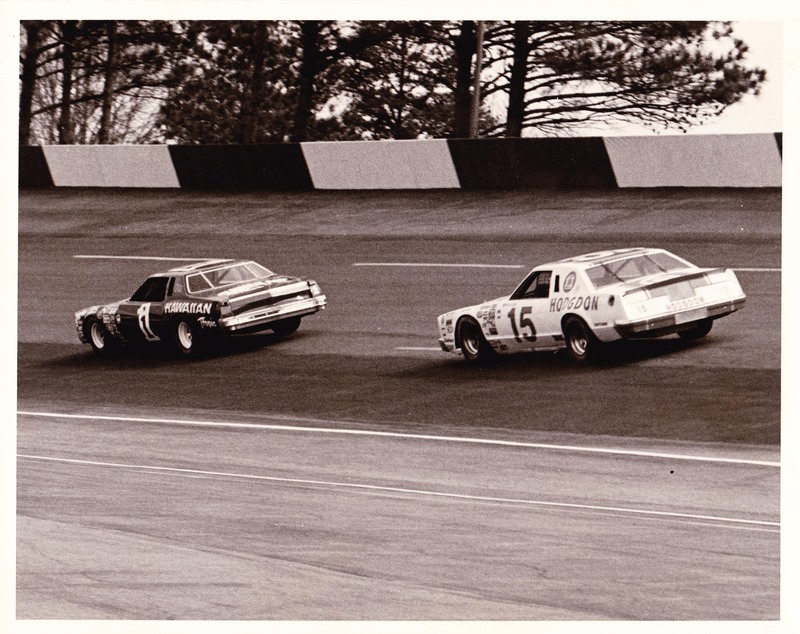 The one time Bobby got Donnie was in the 1971 World 600 at Charlotte. 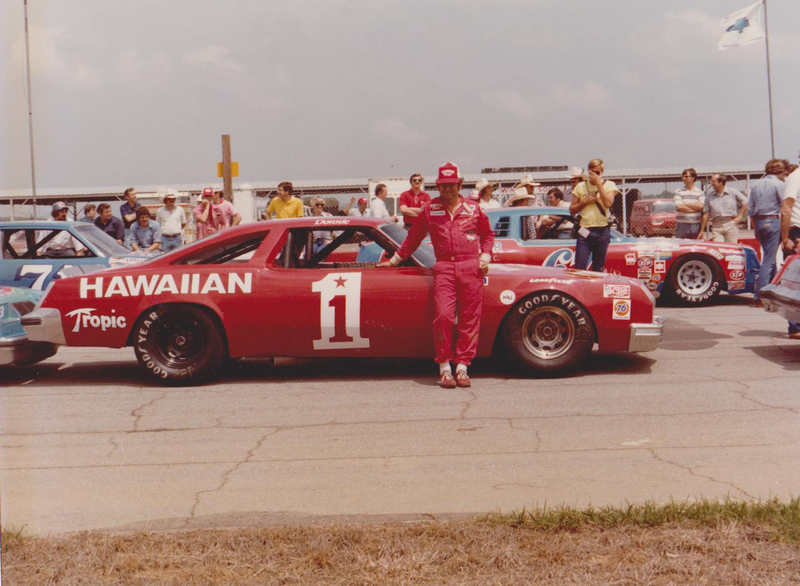 Donnie talks with crew chief Shelton "Runt" Pittman before a race. 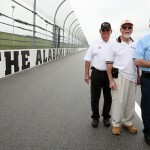 Donnie says that working with "Runt" was one of the best experiences of his entire NASCAR career.